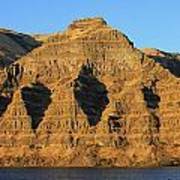 There are no comments for Basalt Group Layers. Click here to post the first comment. 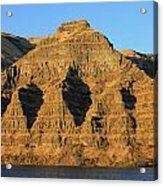 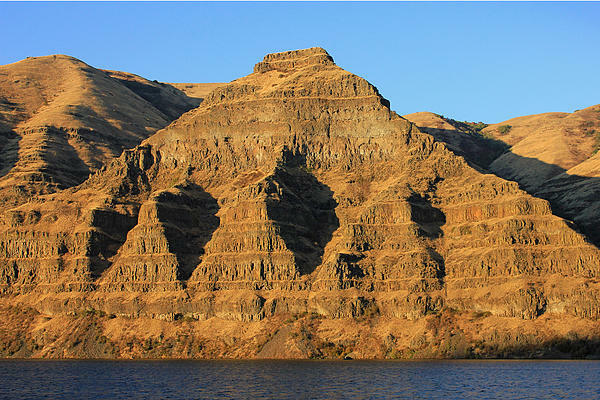 Layers of Columbia River basalt group on display on Castle Rock, WA, at sunrise, seen above Lower Granite Lake (formed by a dam on the Snake River) on 10-5-2014. Lava layers rise some 1800', 550m.